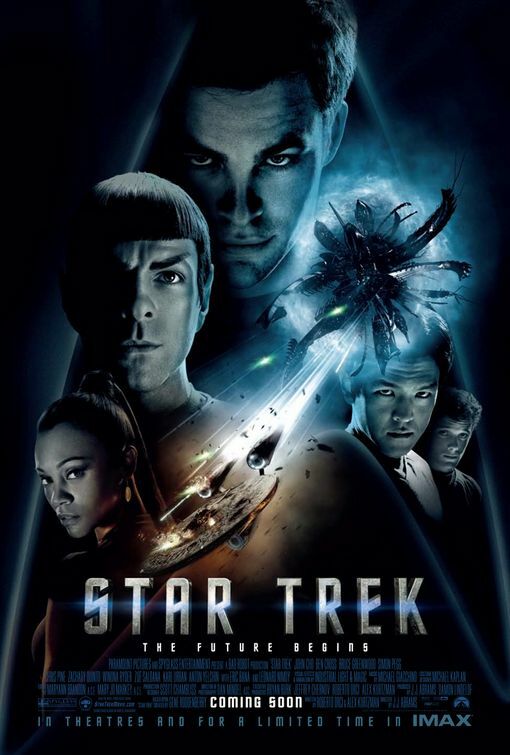 Synopsis: The brash James T. Kirk tries to live up to his father’s legacy with Mr. Spock keeping him in check as a vengeful, time-traveling Romulan creates black holes to destroy the Federation one planet at a time. Review: When it was announced that J.J. Abrams was going to be helming a re-boot of the popular Star Trek franchise for Paramount, more than a few eyebrows were raised. That’s no indictment on Abrams, only on the fact that the Star Trek films/television shows have a devoted following and starting from scratch seemed like it could cause a ruckus in the Trekkie-community. Though the big screen series movies had seemed to run its course with its current Star Trek: The Next Generation crew, there continued to be interest in moving a later television cast into a feature film. Paramount, however had a different idea. That idea proved to be a smart one because this refreshed Star Trek from 2009 is a slam-dunk for fans of the series and newcomers alike. Even if you’d seen every episode, read every tie-in novel, lined up for each film, there’s no denying that what Abrams and screenwriters Roberto Orci, Alex Kurtzman did with Gene Roddenberry’s original set-up was a gamble that paid off. What continues to be so pleasing about the film and the way it was handled was that it didn’t wish away the other films/series nor did it negate the characters that audience have come to love. By playing a tricky game with time-travel, what came before could still exist in the same universe as this new entry. Abrams went back to the drawing board when casting the film, choosing some relative newcomers for the key roles of Kirk and Spock. Chris Pine (People Like Us) has that same handsome all-American charm that William Shatner had as James T. Kirk but wisely sidesteps his predecessors famously mock-able line delivery. With his clear blue (and slightly crossed) eyes, Pine steps into leading man territory with a lot of the confidence that the role requires, showing us a troubled man that’s haunted by the shadow of his late father (Chris Hemsworth, right on the cusp of his own stardom from Snow White and the Hunstman, Cabin in the Woods, Marvel’s The Avengers, and 2013’s upcoming Rush). Zachary Quinto had perhaps even bigger shoes (well, ears) to fill as Spock, the intelligent Vulcan that struggles with his half-human side taking over when emotions come into play. It would be easy to play Spock with a straight-laced monotone but Quinto keeps him interesting even when he’s getting in the way of Kirk’s mission. The other crew are nicely rounded with Karl Urban’s Bones, Zoe Saldana’s Uhura, and Simon Pegg’s Scotty making the biggest impression without merely feeling like a spoof of the actors that played these parts before they stepped in. Only Eric Bana’s villain Nero feels a bit out of place, mostly because his plot line feels underdeveloped and only created to test the crew as they battle black holes, revenge plots, and each other amid time warps into deep space. This being a reboot, I was worried that too much time would be spent introducing characters and that this first film would serve more as an introduction rather than feel like the beginning of something new. While the first half of the film is largely devoted to getting us up to speed with the characters, I didn’t mind it as much because Abrams keeps things moving at a rapid pace. Before you know it, you’re catapulted into an impressive final half that’s filled with Oscar winning make-up and Oscar-nominated special effects that blow previous Star Trek films out of the water. An auspicious start to a truly next generation of Star Treks, this is one that holds up on repeated viewings and provides the kind of entertainment that’s rarely found in blockbusters of this nature. It’s appealing, engaging, and has always kept me on the edge of my seat though I’ve seen it half a dozen times since its initial release.